Welcome to the WTCG website! What does community mean to you? For us ... to chat and get to know about you and for you to get to know other gardeners. Finding the connections that make us similar and the differences that teach us patience, tolerance and empathy helps us create a harmonious circle of community. Now that we have some growing experience we provide produce to our extended community through food bank programs. 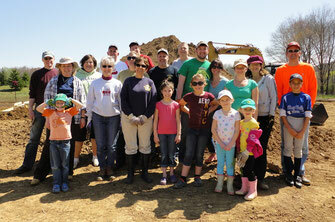 Thank you so much for being with us in the Washington Township Community Garden. Our goal is to provide community members of all ages and abilities an accessible place to garden. The WTCG exists to encourage and support members in their common interest in organic gardening, to provide instruction and education to new gardeners through our garden mentor program and to provide a place where members can share and exchange ideas while producing healthy food and flowers for friends and family. We hope the garden will be a place where any person can come for friendship, knowledge and relaxation. FREE GARDEN BEDS AT WTCG IN 2019! Free Garden Beds at WTCG in 2019!! The WTCG is celebrating its 7thyear by offering existing and new gardeners a freegarden bed in 2019. Come grow with us is our slogan and this year we reallymean it! Existing Members who have completed Fall cleanup by November 1 and completed their 2018 volunteer duties are eligible. New members will be assigned free beds on a first come, first serve basis. A deposit of $25 will be required and it will be returned to you upon Fall cleanup in 2019. Other requirements include adhering to a “plant by” date, controlling weeds during the season, and volunteer duties. OUR GOAL IS TO HAVE ALL BEDS CARED FOR IN THE 2019 SEASON. Complete the New Member Form 2019 found in our forms section of the website. Mail the form as directed. Do not include any deposit as this will be due in cash at the time you receive a plot. Be sure your email address is clearly written. This is how we will contact you. 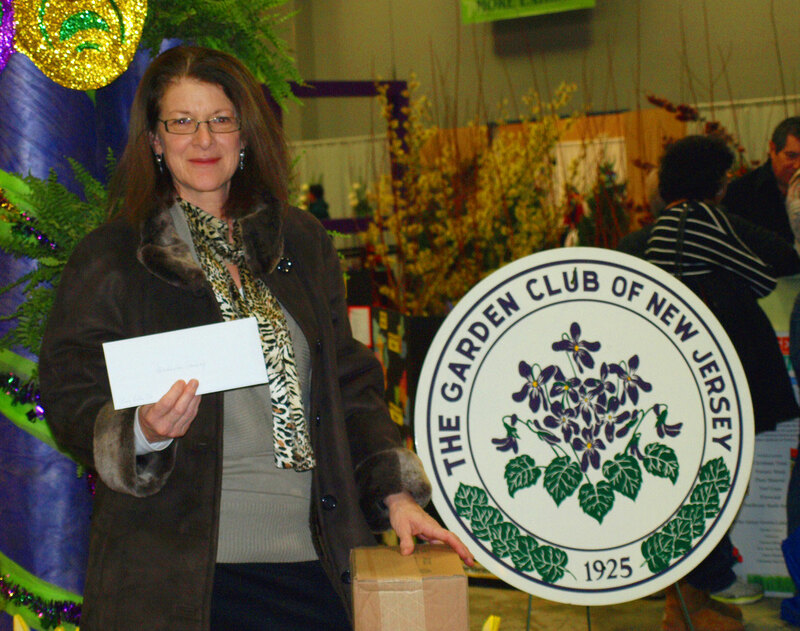 Our founder, Diane Muenzen, attended the New Jersey Garden Show in Edison, NJ on Feb. 17, 2013 to officially receive a $1000.00 grant check from the Garden Club of New Jersey (GCNJ). We have the Garden Club of Long Valley to thank for sponsoring the grant application and making this grant possible. Thank you so much Garden Club of Long Valley and Garden Club of New Jersey for your generous support. GARDEN FENCING: My name is Kevin Salamon, an Eagle Scout from Troop 436, and I constructed the fence for this community garden in the southeast corner of Palmer Park as my official Eagle Scout Project. I got the idea to begin work on a community garden after reading Diane Muenzen’s article on Long Valley Patch in early June about the possibility of building one for civilian use. I thought it would be an excellent outlet and gathering place for the community in an increasingly electronic world. After doing some initial research into the idea, the project was approved by my troop committee on June 13th, 2012, a group consisting of several scout leaders; among them are my Scoutmaster Frank Rodriguez, my Troop Committee chairman Glen Arndt, and other members of my Troop Committee. Planning and fundraising took up most of the summer – a large portion of funds came from the town, while a small amount was derived of money received from a scout-run car wash, taking place on August 4th and 5th, in the parking lot of a local Burger King off Naughright Road. Many town members helped guide me through this process, and I’m very thankful to them: Board of Parks and Recreation members Linda Guldner and Mary McArdle, Department of Public Works member Scott Frech, Committee member Andrew Coppola, and Mayor Kenneth Short were just a few of the many who guided me. The actual construction of the fence began on September 15th and ran through September 17th, and took a total of 21 hours and 155 man hours to complete. The construction consisted of several phases: digging 40 two-foot holes in the ground with an auger around a 500-foot perimeter, placing a 9-foot pole in each, securing each pole with cement, coiling the deer fence around the entire perimeter, assembling gates and installing them on two of the four sides, and attaching critter fencing around the bottom of the fencing. 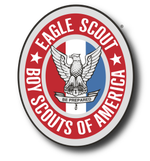 The construction was finally completed around 9:00pm on September 17th, 2012, and I officially became an Eagle Scout at 8:32 on November 26, 2012 after completing my Eagle Scout Board of Review. I look forward to seeing the completed garden when it opens in the near future. We are extremely grateful to Kevin and Troop 436 for constructing the fencing and gates for our community garden. It was a large job and we appreciate the amount of work and planning that went into it's construction. The gardening community thank you for your efforts. GARDEN BENCHES: My name is Connor Onweller, and I am an 11th grade prospective Eagle Scout from Troop 436 in Long Valley, NJ. I constructed four planter benches for the community garden in Palmer Park as my Eagle Scout Project. I have appreciated seeing how the garden has become a gathering place for its members, both from a social and gardening perspective. It has been enjoyable to see how the garden has evolved since its beginnings. It has created an extremely fun and relaxing environment for gardeners in our community. I learned about the need for four benches, which were to be a centerpiece in the garden and decided to take this on as my Eagle Scout project. In May of 2013, I presented my project to my troop committee, a group consisting of Troop 436 Leaders which included: Scoutmaster Frank Rodriguez, Troop Committee chairman Glen Arndt, and other members of my Troop Committee. The project was approved and then I moved on to present my plans to the town at various planning and recreation meetings, with the help of Diane Muenzen, Denise Tedeschi, Linda Guldner and Scott Frech. Next, I spent the summer of 2013 raising the money for the materials for the benches. Construction began in the spring of 2014 and was completed in the fall of 2014. I had help from many Scouts, friends and family members. The project took 176 man hours to complete. We had to level the ground, dig and place pavers, build the benches, transport the benches from my garage (with the help of Scott Frech and his team) and then place the benches in the garden. I found the project to be very rewarding, had the pleasure of meeting many interesting Community Gardeners throughout the project, and was glad to be able to give back to the community. Once more Troop 436 gives something wonderful to the community garden. We are very appreciative to have these four lovely benches and planters. They are awesome! Thanks for your hard work Connor and everyone who helped make and install the benches. PLEASE SHARE OUR WEBSITE LINK WITH YOUR FRIENDS. THE MORE THE MERRIER!